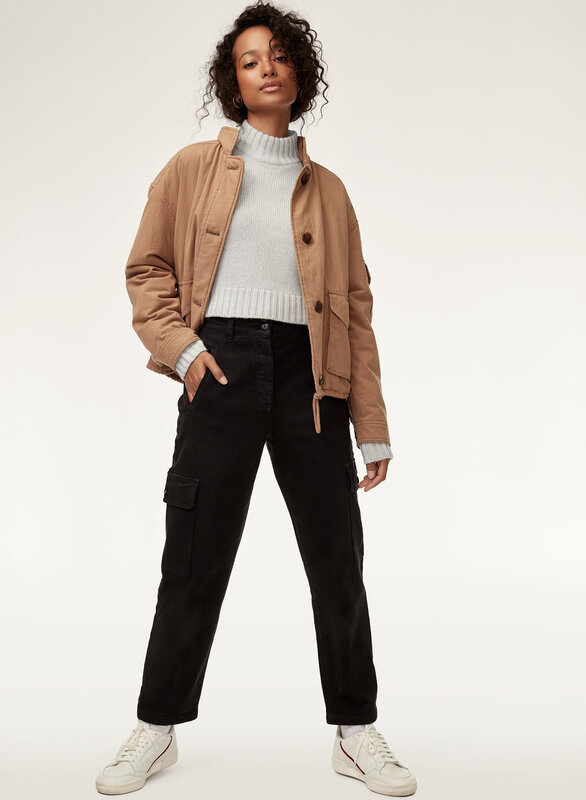 Styled with alyona jacket and mila pant . 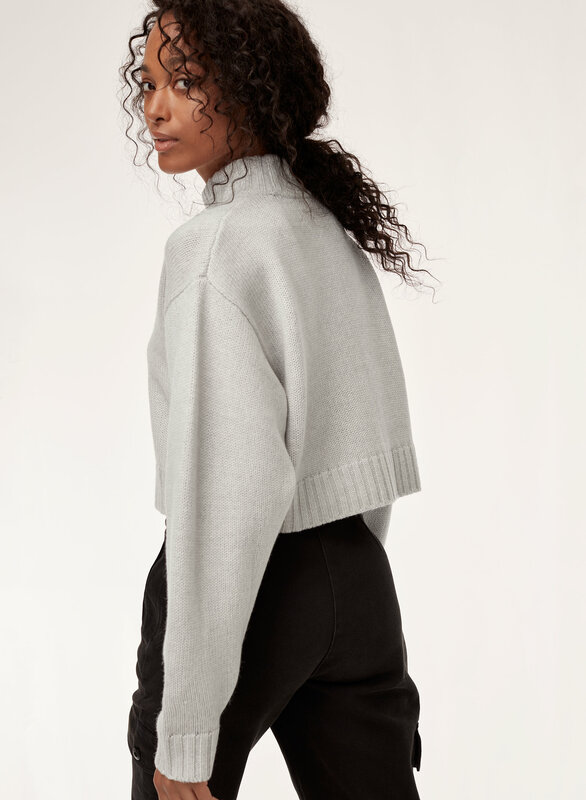 The Heinen is knit with Italian-milled merino wool that's exceptionally soft, lightweight and warm. The drop-shoulder design gives the silhouette an easy, laid-back vibe. I love the fit and colour, but it started to get fuzzies build up on me within 2 wears. It’s not something I can wear to work after a couple wears because it looked so worn. Wore the sweater for the first time and within ten minutes of wear it was pulling like crazy. Really not impressed with the quality. Love this weather with high waisted jeans or leggings.. super comfy and good quality. I don’t mind spending more money to get higher quality items and this sweater was definitely worth it! Great quality and super warm. Absolutely adore this sweater! It's exactly the fit and style I've scoured other stores trying to find. Looks extremely chic with jeans or trousers. It is slightly cropped, so if you're a bit taller, keep that in mind. I received a lot of compliments when I wore this sweater. It’s very comfortable. I bought it in the trendy light grey colour. My best purchase from Artizia so far! The wool was incredibly soft and warm. The cut of the sweater was to my waist so it wasn't too short, and the sleeves were comfortably roomy. The neck was a bit hard to put my head through at first but it stretches out just fine. 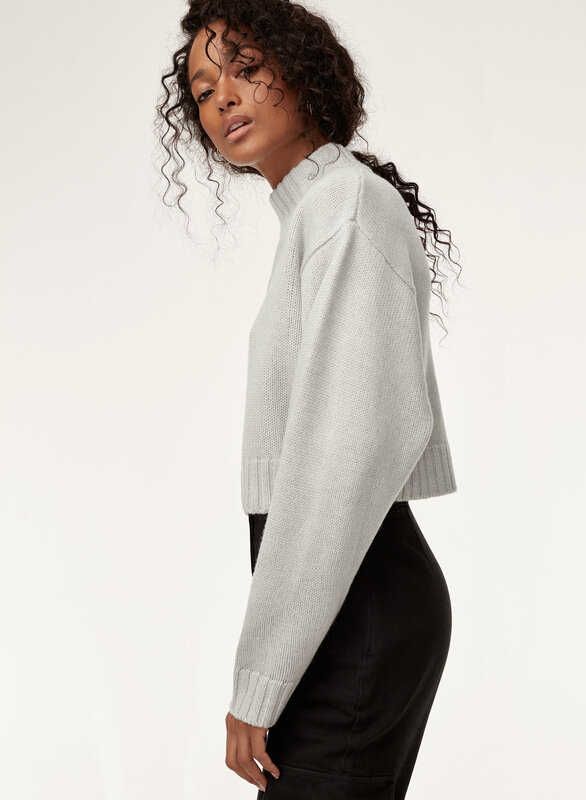 Absolutely recommend this sweater. This is my favourite sweater. I absolutely adore it! It's super comfortable, soft, and makes me look put together even without makeup and when my hair is a mess. I'm usually an S but I bought an XS since, according to other reviews, it tends to fit somewhat loosely (which I can confirm, the XS fits perfectly without being too baggy). The neckline is a bit tight when fitting it over the head, which only becomes a slight issue when I forget to take my glasses off, lol. The only thing keeping this from a perfect 5/5 is its tendency to pill! Not a huge issue, however, and after a moment of de-pilling, it's as good as new. Definitely recommend. I got the neon green and its such a cool addition to my wardrobe. 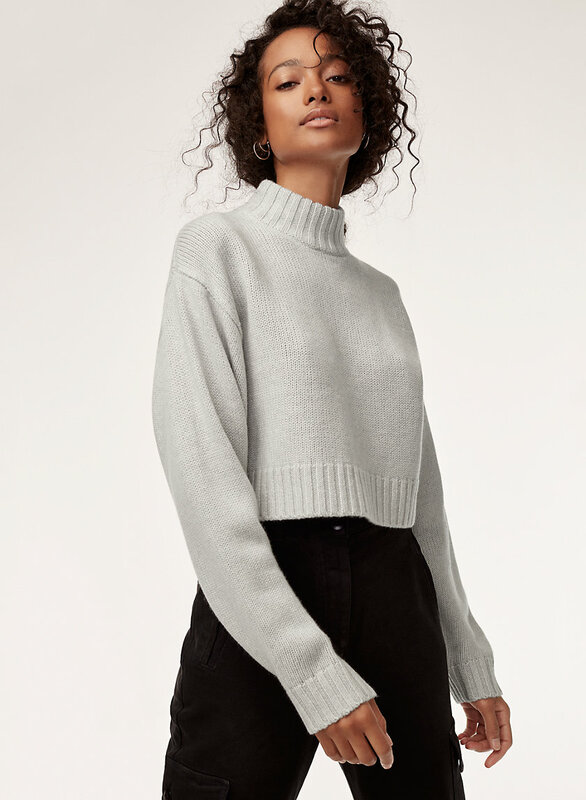 I love the slightly oversized fit and flattering look with jeans, trousers or a slip dress underneath. Amazing sweater love it have it in neon. I really like the cut, and the merino wool is sooo soft. The only thing is im usually a size small in tops but even this sized down to xxsmall is HUGE in the arms for me. 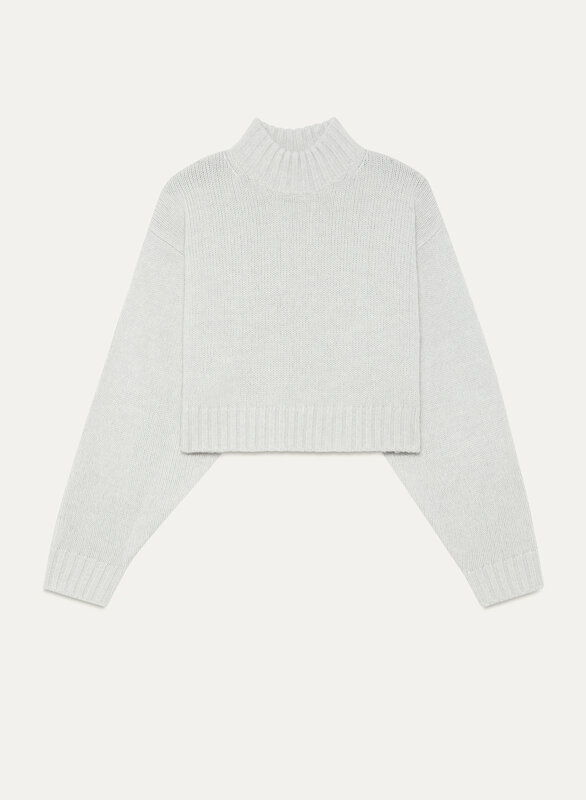 If you like oversized then this top is perfect. Its very cozy and will definitely keep you warm on those cold days! Such a great buy. I was hesitant about the price but it was so worth the high quality material and mature but on trend style. A little shorter than I anticipated (definitely shows my belly button of arms raise at all) but I layer it over a white button down for work or wear over high waisted jeans causally. So cute and will definitely be purchasing more from the brand! Love the cropped length and the soft hand feel. Don’t love that it began pilling immediately and the sleeves seem even longer than usual. Not as thick as I’d hoped but the collar area is spot on! 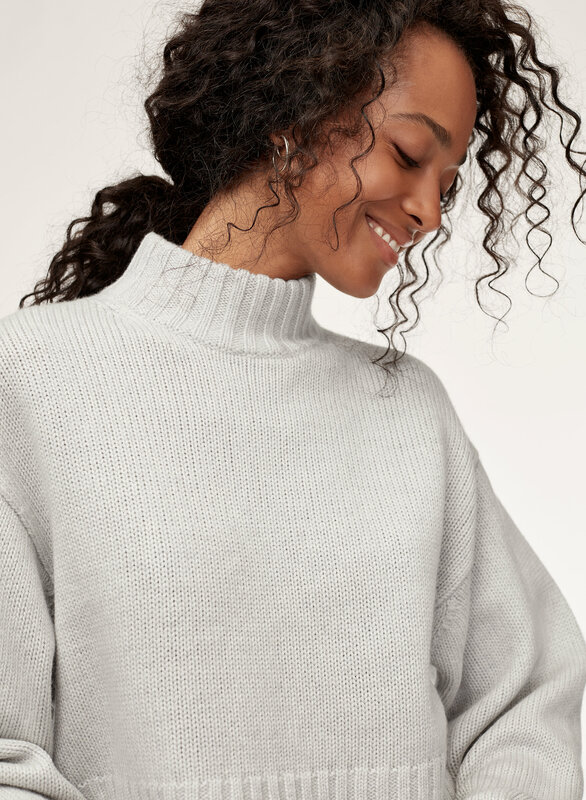 Great light sweater with a gorgeous turtleneck/collar that is unique looking. Soft, nice neck height, sleeves long enough!! !